I have been a bit AWOL of late, haven't had much mojo happening and lots of niggly distractions in real life. On the bright side hubby has finally gotten off his behind and our laundry reno is nearly finished lol. 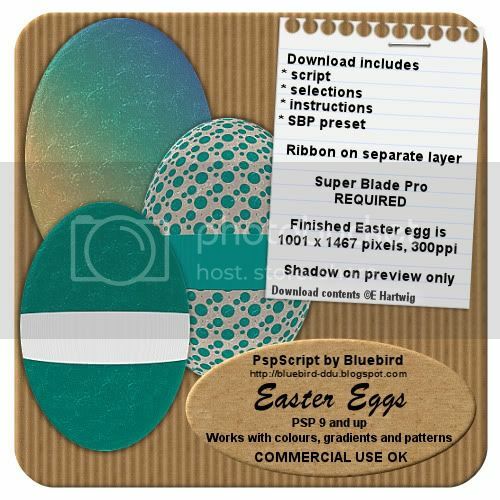 I have managed to get a new script happening for Easter and it is available in the stores right now! PLEASE NOTE - Super Blade Pro is required and it is a PAY FOR filter. I have this new script marked down to $2 (instead of the normal $5) in an attempt to make up for my slackness lol. This offer is good until Easter Monday (April 5) so grab it now while it is cheap!